Community Event - Connetquot Public Library "Touch a Fire Truck and Police Car"
On Saturday September 15th, the Bohemia Fire Department participated in the “Touch a Fire Truck and Police Car” program. The event was hosted by the Connetquot Public Library and was attended by over 250 people from the local communities. 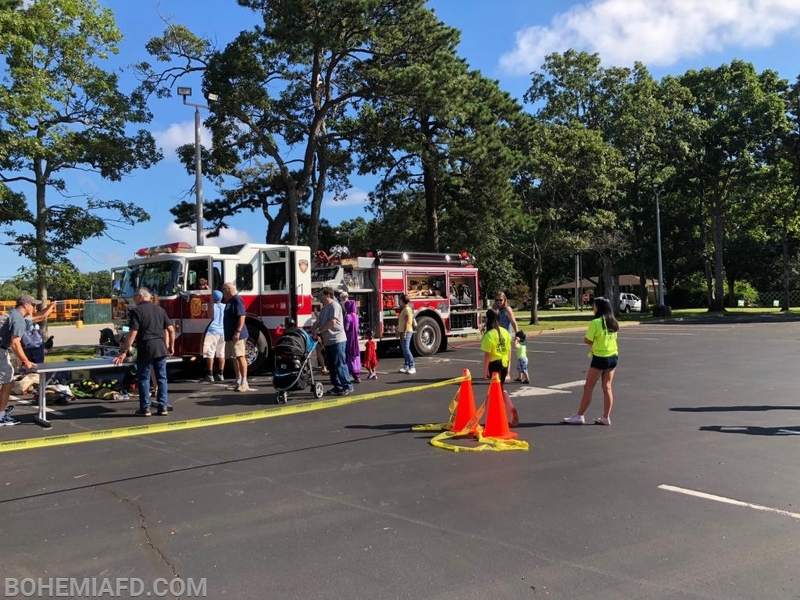 Those in attendance not only had an opportunity to explore a fire truck and a police car, but also had a chance to meet members of the Department and learn what we do every day to keep the people in our communities safe. 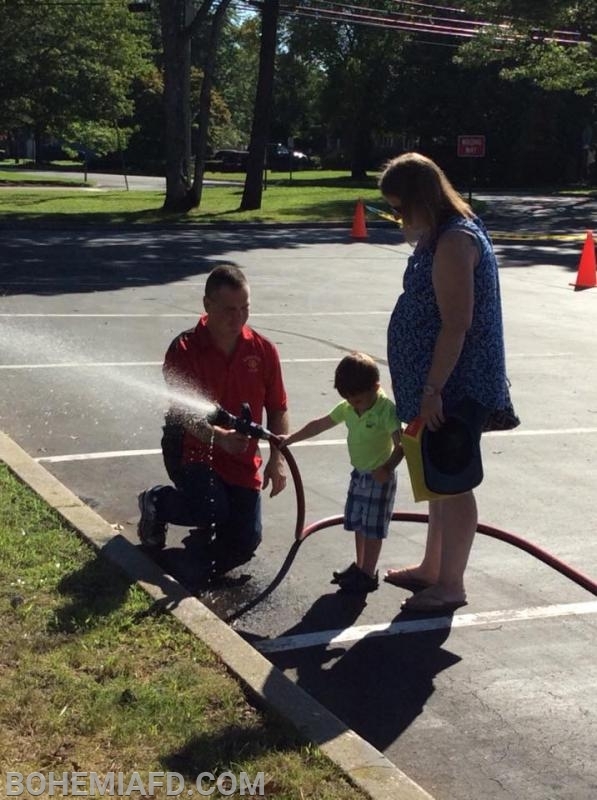 1st Assistant Chief Tom Iwanejko assisting a future firefighter.